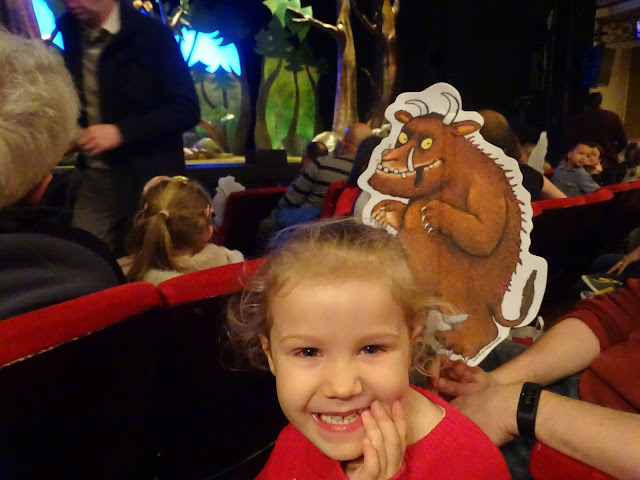 We were very excited when we are invited to attend a performance of The Gruffalo Live at the Vaudeville Theatre, London. The Gruffalo is one of Little Ladybug's favourite books and she probably knows most of the words by heart. Our baby son was also welcome to come and we were all looking forward to this family adventure in London, England. The show is recommended for 3+ years old and is 55 minutes long without interval. 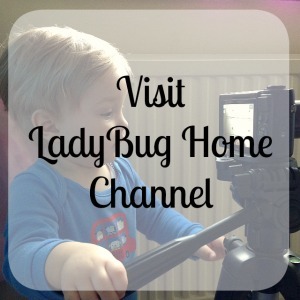 We had not taken my daughter to a live theatre play before so we did not know how she would react. I can honestly say that from the minute the three actors stepped on the stage my daughter was completely entertained. Our baby son sat mesmerised on my lap for the first 30 minutes watching the actors tell the story of a mouse walking through the "deep dark woods" following her nut map. The costumes and sets were simple but very imaginative. The mouse's ears popped out from under the actor's headband and her tail was a piece of rope. The colours used were earth tones and very calming. I feel that the colour used helped from over simulating the children's sense and keeping them focus on the actors and the story. The magic of the original story was preserved but charming songs and lines were added that enhanced the telling of the story. There were couple lines that were designed to make the adults and older children laugh. The actors were very encouraging of the audience to be part of the show. When a child yelled out one of lines of the book before actor could say it, the actor smiled and acknowledge the child's contribution to the show. The fox, owl, and snake were played by the same actor but each character was unique and were loved as much as each other. The actor that played the narrator became the Gruffalo at the end. I appreciate that the Gruffalo costume and personality was not too scary. I felt more tempted to give him a big than run away. My daughter loved the show and would have loved to just stay in the theatre for the next show. My husband and I also really enjoyed the show. 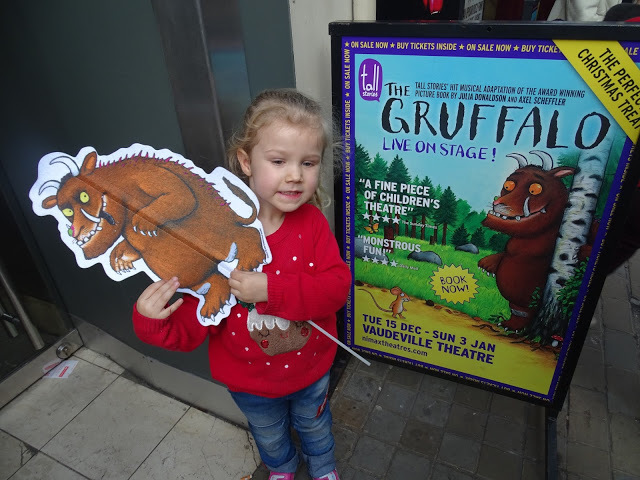 The Gruffalo Live is at the Vaudeville Theatre until January 3rd, 2016. 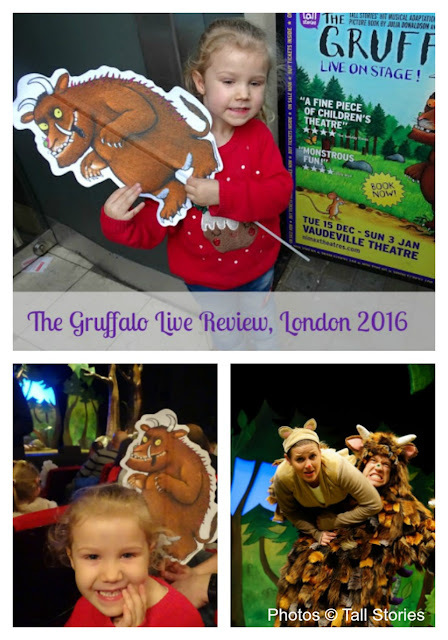 The Gruffalo Live is showing at the Lyric Theatre, Shaftesbury Ave, London from July 6th, 2016, until January 8th, 2017. This show is produced by Tall Stories and currently also touring with The Gruffalo's Child around the UK in 2016. There is also some fun activities sheets available from The Gruffalo Live website.